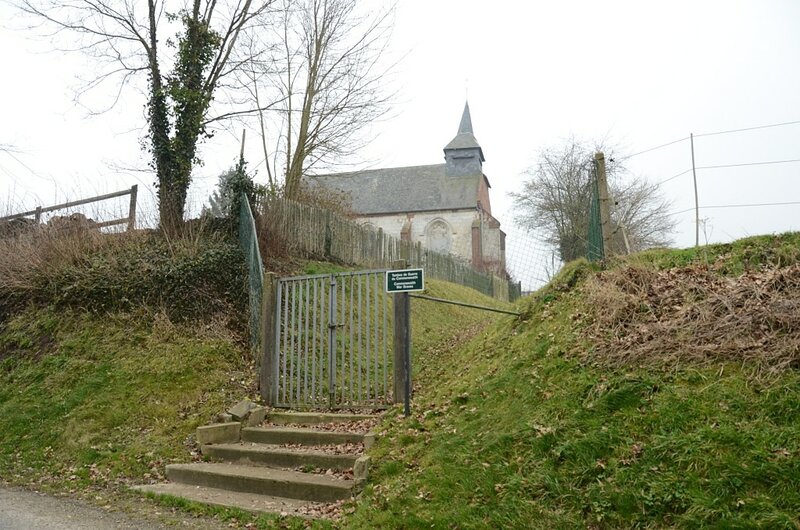 Guémicourt is a village 40 kilometres west-south-west of Amiens, 34 kilometres south of Abbeville, and is on the road from Aumale to Le Treport. 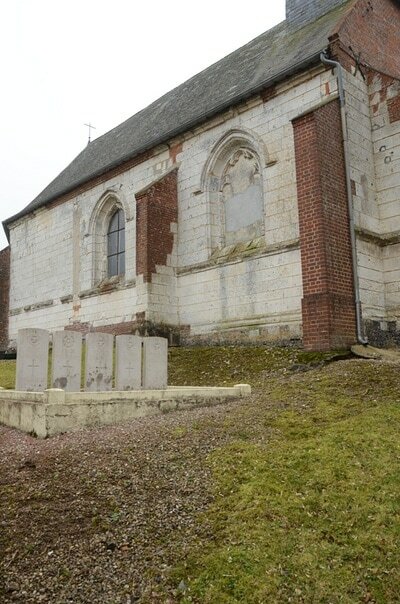 In the churchyard, east of the entrance and near the northern boundary, is the collective grave of five airmen. 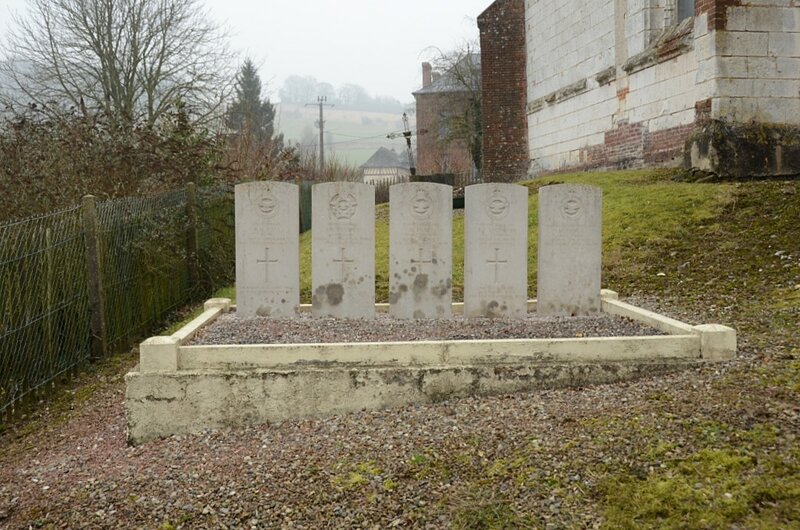 Four of them belonged to the Royal Air Force and the other to the Royal Canadian Air Force. 182155 Pilot Officer Robert Marwood Cass, Pilot in 640 Squadron, Royal Air Force, died 9th August 1944, aged 30. 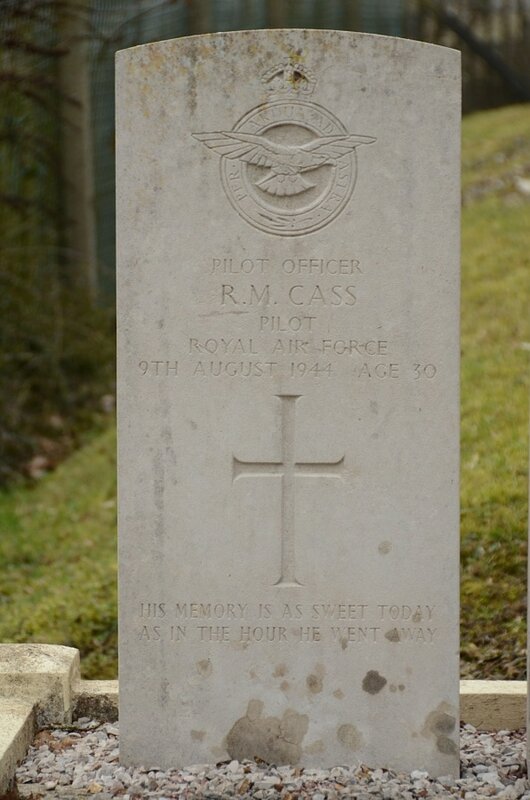 Son of Frank and Edith Agnes Cass; husband of Majorie May Cass. 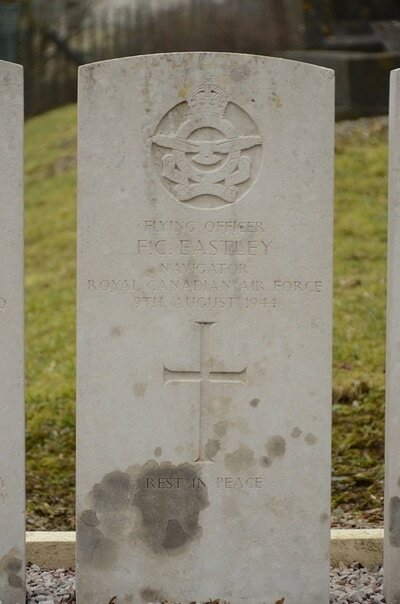 J/25548 Flying Officer Frederick Charles Eastley, Navigator in 640 Squadron, Royal Canadian Air Force, died 9th August 1944. Son of Mr. and Mrs. Fred Eastley, of Glentworth, Saskatchewan, Canada. 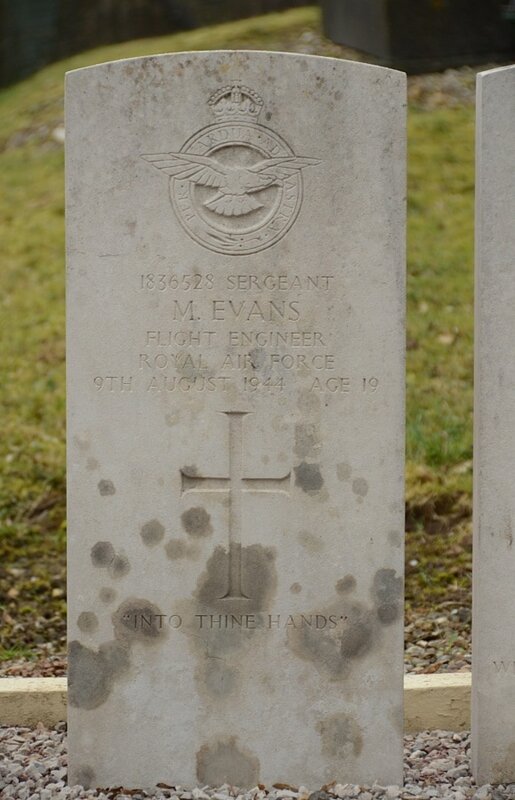 1836528 Sergeant Meurig Evans, Flight Engineer in 640 Squadron, Royal Air Force Volunteer Reserve, died 9th August 1944, aged 19. Son of Dewi Ll. and Lilian M. K. Evans, of Aberdare, Glamorgan. 1896195 Sergeant Frank Charles Saunders, Air Gunner in 640 Squadron, Royal Air Force Volunteer Reserve, died 9th August 1944, aged 23. 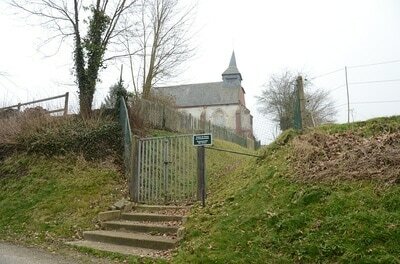 Son of Frank and Margaret Maud Saunders (formerly Emery). 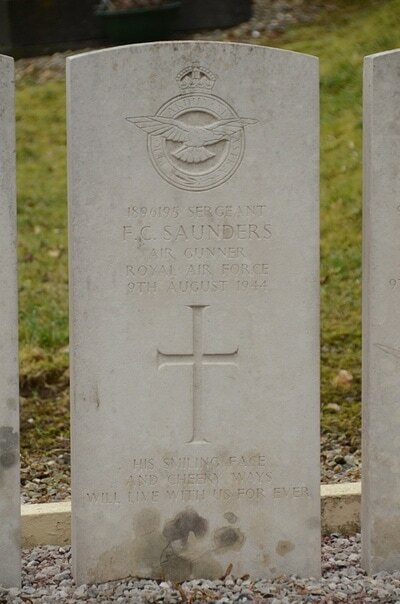 Stepson of Florence Maud Saunders of Lambeth, London. 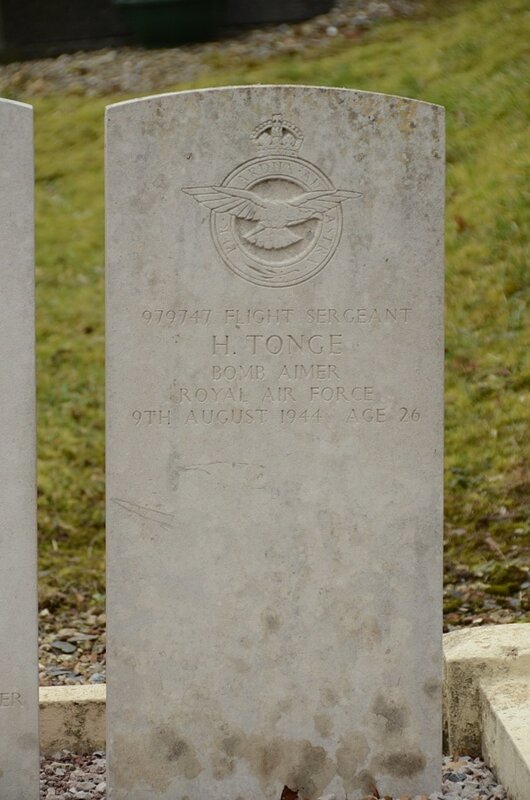 979747 Flight Sergeant Herbert Tonge, Bomb Aimer in 640 Squadron, Royal Air Force Volunteer Reserve, died 9th August 1944, aged 26. Son of Samuel and Mary Tonge; husband of Gabrielle Tonge, of Colwyn Bay, Denbighshire.